Since 1989, Towson Medical Equipment has been an individually owned and operated medical supply store dedicated to helping individuals with mobility issues improve their quality of life. We specialize in providing quality medical supplies and durable medical equipment products along with exceptional customer service to thousands of customers throughout Baltimore, Towson, Parkville and Timonium Maryland, to Washington D.C., Southern Pennsylvania, Delaware and Northern Virginia. 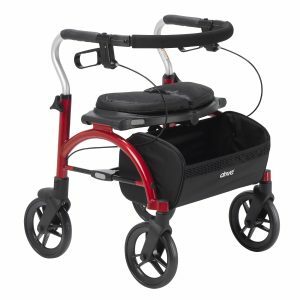 We carry medical supplies, mobility products, stair lifts, lift chairs and disability scooters by some of today's leading manufacturers. With periodic sales and everyday low pricing on medical supplies, we put reliable home medical supplies and equipment within reach of everyone. We also work directly with most insurance companies, including Medicare. However, many of our Medicare patients prefer to skip the hassle and take advantage of our everyday low prices on Walkers, Rollators and Wheelchairs! Follow the links on this page to view our full inventory of medical supplies, or contact a representative directly for assistance. Our specialties are Stair lifts, Lift Chairs, Scooters and Monthly orders of Incontinence, Catheters or Diabiatic supplies!